When Rich Stearns left the for-profit corporate world behind in 1998, he immediately stepped into the business of poverty, hurricanes, and deadly diseases. And there was much more to come. Over the next two decades, World Vision responded to natural disasters, war, famine, and world-shaking events - and scored some major victories in the war against poverty. 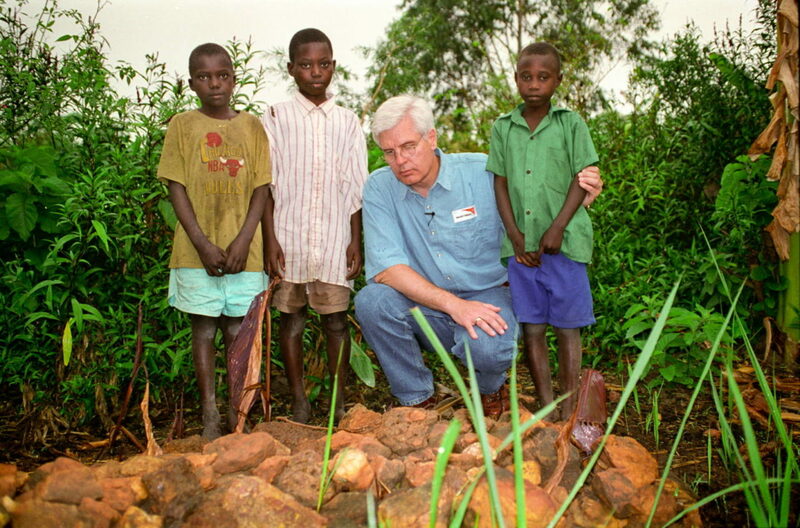 1998: On Rich Stearns' first trip to Uganda, "ground zero" for the AIDS pandemic, he met 13-year-old Richard, who had been orphaned by AIDS, and learned there were 12 million children like him in sub-Saharan Africa. This sparked his passionate commitment to fight HIV and AIDS. 1999: In Ghana, Rich saw the success of World Vision's large-scale water projects in partnership with the Conrad N. Hilton Foundation and visited villages that lacked clean water. 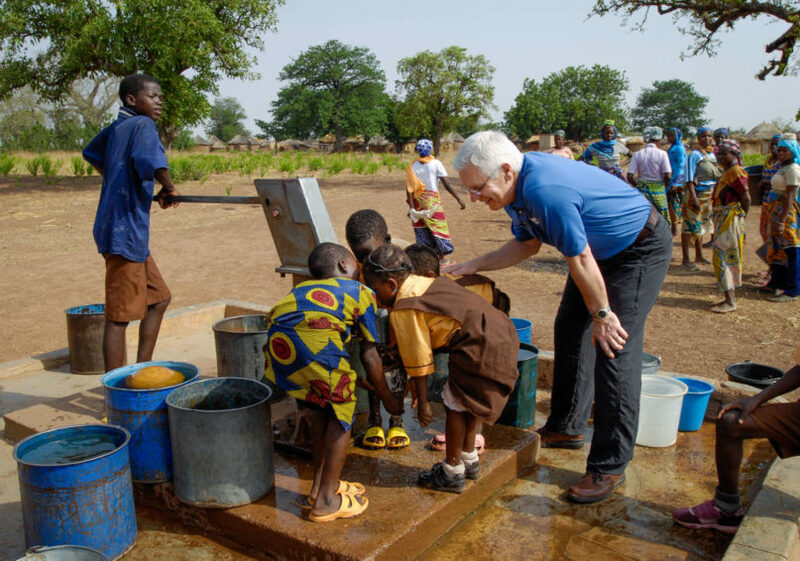 After this first exposure to the global water crisis, Rich encouraged World Vision to accelerate clean water and sanitation programs in all countries where it works. 2001: The 9/11 terrorist attacks changed geopolitics overnight. On the domestic front, World Vision provided support to New York victims' families. Globally, anti-American sentiment hit close to home when a gunman shot and wounded Ray Norman, a World Vision director serving in West Africa, and his daughter, underscoring the increasing risks of humanitarian work. 2002: In response to the HIV and AIDS crisis, World Vision's global partnership launched the Hope Initiative to care for widows, orphans, and vulnerable children. Over the next several years, Rich spearheaded efforts to change American Christians' hearts on AIDS through gatherings for church leaders, trips to Africa for pastors and other influencers, and Step Into Africa - a traveling experiential exhibit. 2004: After an earthquake-triggered tsunami devastated Indian Ocean coastlines, World Vision raised more than $350 million and mounted the largest disaster response in its history, providing relief and rehabilitation in Indonesia, Sri Lanka, Thailand, India, and Myanmar over the next 10 years. 2005: The tragedy of Hurricane Katrina was a game-changer for World Vision's domestic disaster work, highlighting the need for pre-positioned relief supplies and the value of working closely with local churches. These lessons equipped World Vision to respond to many more natural disasters, including successive hurricanes in 2017 - Harvey, Irma, and Maria. 2008: Despite a recession rocking the U.S, World Vision donors were faithful. Revenue from private and public sources topped $1 billion. Combined with the operational efficiencies Rich initiated - including lowering the overhead rate to historic lows - this was a boost to children and families in poor communities. 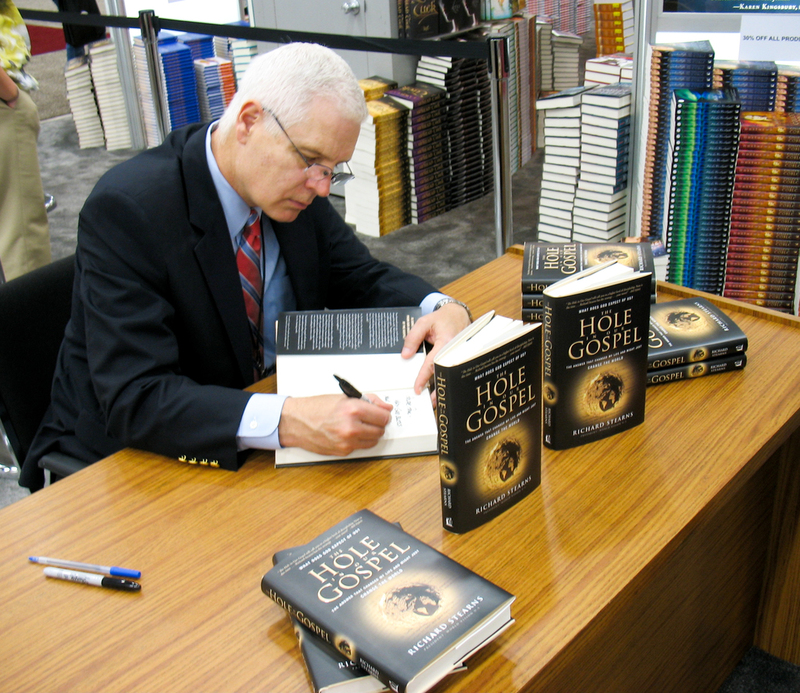 2009: Rich challenged American Christians with his award-winning book, The Hole in Our Gospel, which shared biblical insight about God's expectations for serving the poor combined with his own story of reluctantly answering God's call to join World Vision. In 2013, he wrote a second book, Unfinished: Filling the Hole in Our Gospel. 2010: Following a catastrophic earthquake in Haiti that killed more than 200,000 people, Rich visited the capital, Port-au-Prince, which he described as "the largest refugee camp in the world." In the first 90 days, World Vision assisted nearly 2 million people with food, shelter, water, sanitation, and child protection. Rehabilitation work continued for five years. 2013: The Syria civil war had caused a massive refugee flow and destabilized the Middle East. 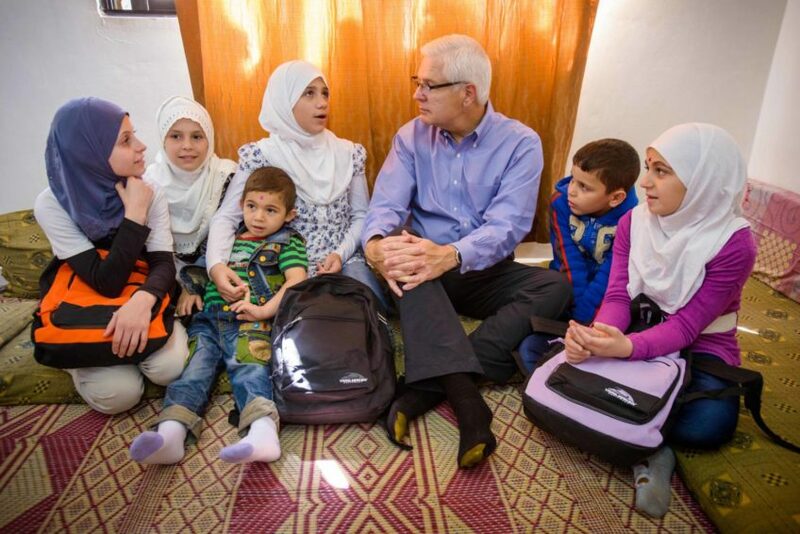 World Vision's refugee response started in 2011 in Lebanon, and shortly after programs began in Jordan in 2013, Rich went there on his first of several trips to the region. He met 10-year-old Haya, a refugee girl whose story broke his heart and whose poignant song became part of many speeches he delivered afterward, challenging the American church to care about Syrian refugees. 2015: World Vision completed its Campaign For Every Child, a five-year, $538 million campaign that helped 26 million people. Among its accomplishments: 12 million people were protected from malaria; spiritual nurture programs benefited nearly 2 million people; and more than 5.2 million people accessed clean water, sanitation, and hygiene. World Vision, now the leading humanitarian provider of clean water, set an aggressive goal to reach one new person with clean water every 10 seconds by 2020 - and accomplished this in just one year! 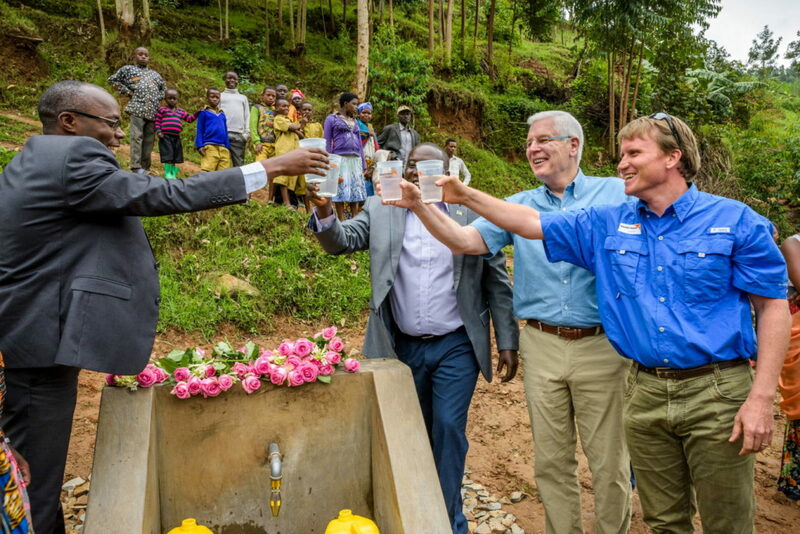 2018: After announcing his retirement effective Oct. 1, Rich committed World Vision and his energies to providing clean water to everyone in World Vision's projects in Rwanda - the first country projected to achieve World Vision's goal for universal water access in all project areas by 2030.